This 7 ft Santa Claus and Penguin Driving Light Up Christmas Inflatable By Comin™ makes an eye-catching outdoor lawn decoration. It's simply the perfect combination between simplicity and bold, with the two complementing each other perfectly. Added on is the wear-proof design, which improves the ability to last. It's time for Christmas with this perfect duo of Santa and a helpful penguin! Amaze your neighbors, friends, and family with this unique and adorable outdoor decoration. 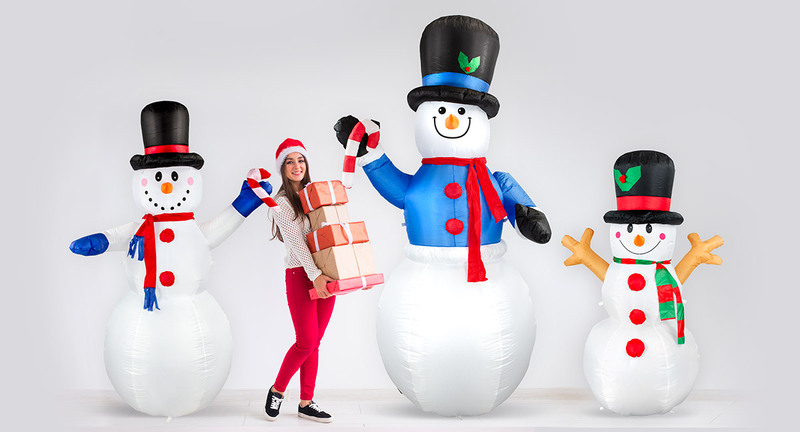 This seven foot tall dynamic duo will make a great outdoor or indoor decoration this Christmas. The inflatable lights up and inflates within a few minutes. Not to mention this inflatable is water proof and durable, as Santa and his helpers should tend to be if they want to stay safe in the midst of winter. Shop now for great prices and free shipping.